Neutrophils are a type of white blood cell that is responsible for much of the body's protection against infection. 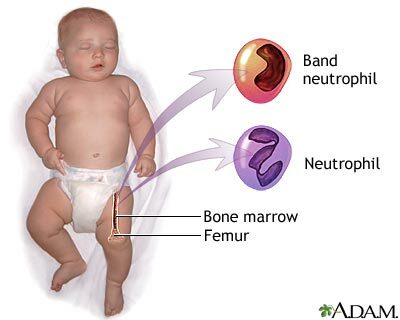 Neutrophils are produced in the bone marrow and released into the bloodstream to travel to wherever they are needed. Large numbers of immature forms of neutrophils, called neutrophilic band cells, are produced by the bone marrow when the demand is high.